Scott Collins is one of Australia’s very few songwriters contributing to the ongoing collection of original Australian bluegrass music. Scott’s previous album was called You Were Right About the Stars. 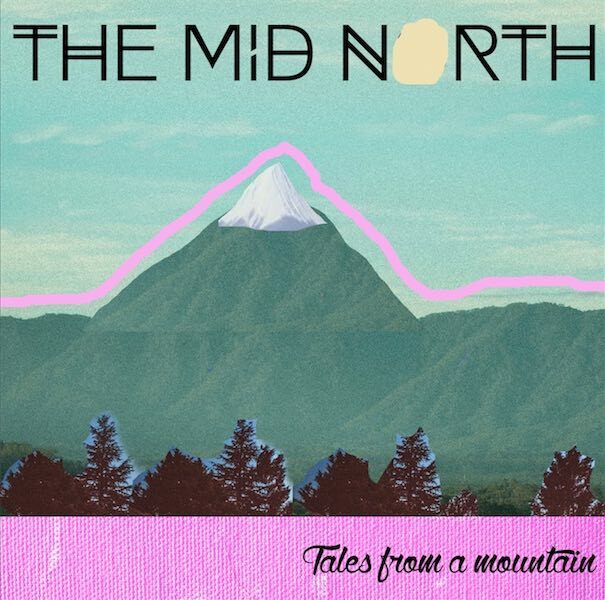 This new album is called Tales From a Mountain. Songwriting can be a challenge for some. Writing words for a song can require one to search deeply into feelings, values and beliefs to deliver one’s message. Indeed the challenge is often one of having to bare the soul to deliver heartfelt beliefs and stirring messages from, sometimes, tender personal experiences. Scott Collins has opened his heart on this album. Corn Liquor is the opening track on the album and sets a great pace with Hamish Davidson’s hard-driving banjo and Cath Cooper’s supportive harmonies. Overall Cath does a fine job in supporting the vocals with her pure clear harmonies. One of my favourites on the album is No Return. It tells the tale of a cowardly retreat of a gambler, philanderer and wonton cheat who is heading down the road of no return, leaving a letter of some regret and to be read by his abandoned woman. A mournful ballad, haunting in melody and lyric and executed with style by Mid North’s band leader Scott Collins. In short, this album is full of fine song writing delivered in a blend of complimenting musical styles and instrumentation with deft performances by a host of Aussie musicians delivered through a fine production effort from NoiseLab Studios. Congratulations Scott on another great album.